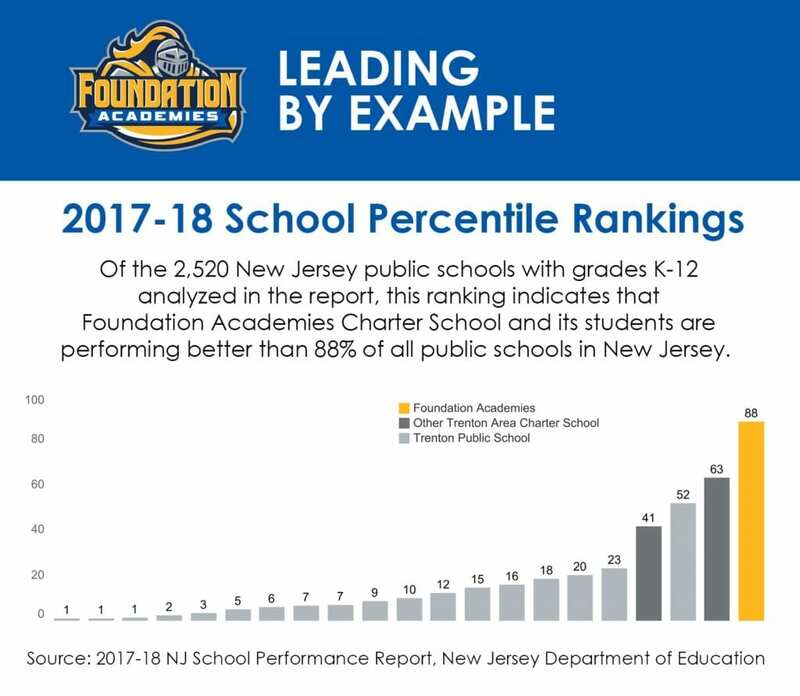 The New Jersey Department of Education (DOE) has released the state’s School Performance Reports for the 2017-18 school year, ranking Trenton’s Foundation Academies Charter School in the 88th percentile for public schools statewide. Each year, the DOE School Performance Report summarizes academic, demographic, and progress report data of the 2,520 state public schools with grades K through 12. Foundation Academies’ ranking improved from the 70th percentile in 2016-17 to the 88th percentile in the new report, and students schoolwide exceeded the state’s median Student Growth Percentile (mSGP) for both English Language Arts/Literacy (ELA) and Mathematics overall. Though the report’s findings are encouraging, the right to a high-quality education continues to be unattainable for far too many New Jersey families. The complete 2017-18 School Performance Reports can be accessed on the NJ DOE’s report website at www.njschooldata.org. Foundation Academies is a top-performing public K-12 charter school in Trenton, NJ. 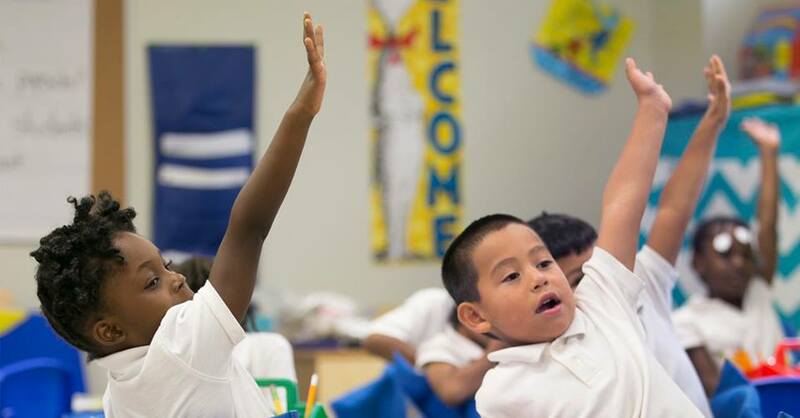 Founded in 2007, Foundation Academies is currently serving more than 1,000 students across two campuses. 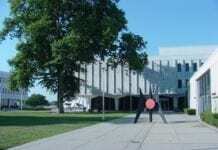 With markedly less funding than Trenton district schools (approx. 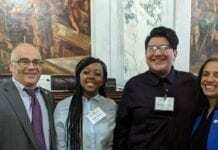 $6,000 less per pupil), Foundation Academies’ dedicated teachers and scholars are proving that all children, irrespective of race, gender, or socioeconomic background can succeed at a great public school. On state exams, all grades at Foundation Academies are outperforming not just their Trenton peers, but NJ statewide averages as well. And 100% of Foundation Collegiate Academy graduates are accepted to college. For more, visit: foundationacademies.org.